Admire Removals International is in operation for 30 years. Admire Removals International is in operation for 30 years. It was started in 1986 with our experienced and dedicated staff and vehicles; we guarantee to complete your move with utmost care. We are a Tax compliant and VAT registered BVERI-COM Level 3 company (2015/09693). The company is fully equipped with seven vehicles to handle any size move, all our packers have been extensively trained in the craft of wrapping, packing, and handling to ensure that no damage occurs during packing or transit. Normally packing is carried out prior to moving day, so that everything is ready for a swift, clean move on the day and we can assist in anything from furniture & office removals, household removals and your import and export shipping requirements. All international consignments from South Africa to overseas are properly packed, labelled and dispatched. Fast customs clearance by trained personnel avoids delays and ensures rapid clearance and delivery at destinations. Factory and office moves are planned in advance. All work stations are colour coded and labelled to ensure swift delivery and placing of items at the new location. 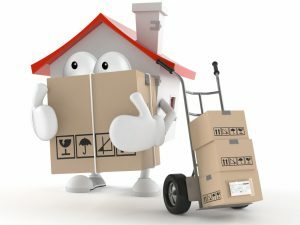 Household relocations local, national and international are executed with the absolute and personal care as if it was our own. We know how much you are depending on us on the moving day. That is why we turn up on time. Our skilled moving teams have been well trained in the modern handling techniques and will load and secure your belongings on the vehicle with extreme care.